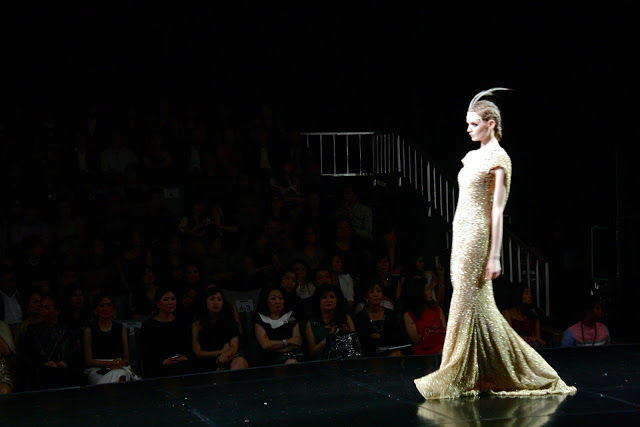 Sebastian Gunawan's avant-garde fashions epitomize glamour and timeless elegance. The majority of the designer's lace and velvet gowns are adorned with gleaming Swarovski crystals and are paired with headdress accessories that compliment his pieces. These stunning accessories are handcrafted using feather materials and are designed by Rinaldy A. Yunardi. 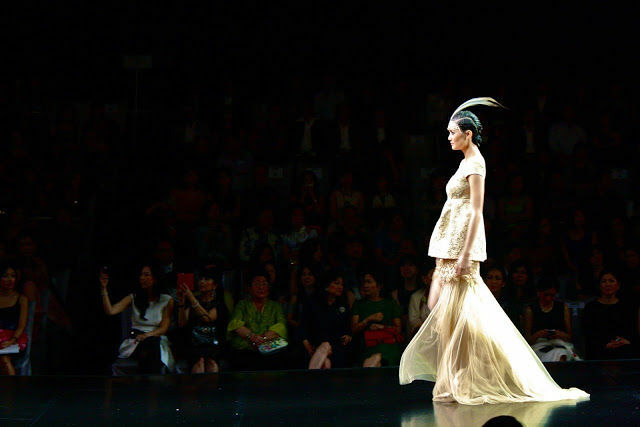 Sebastian Gunawan creates striking runway couture and impresses with pieces that are unlike those of any modern fashion designer. Exuding an old-world talent that is synonymous with iconic couturiers like Christian Dior and Hubert de Givenchy, the designer stunned his audience at his most recent runway presentation. From sculptural separates to printed ballgowns, his latest collection embodies a feminine air without losing its edgy and visually intriguing elements.